The new XP120T is designed to be the most realistic feeling electronic tom pad and Yamaha has used a newly designed Textured Cellular Silicone head to achieve this. The head is built by introducing tiny air bubbles into foamed silicone in a proprietary manufacturing process. 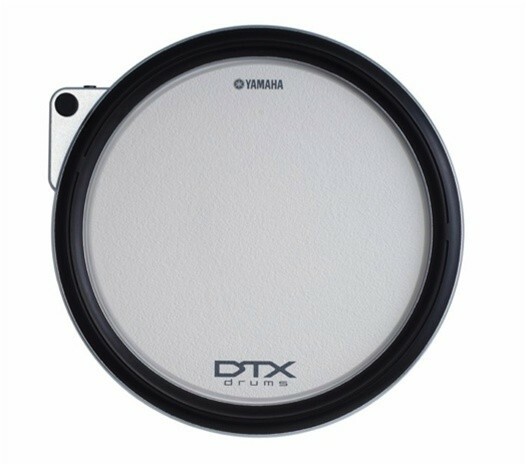 The results are the XP120T has a different stick rebound than a snare. The drum is 12", 3 zone, and ships with a stereo cable to hook it up to your module. This XP120T is fully compatible with the DTX900 module and the Dtxtreme III module when upgraded to the proper firmware.